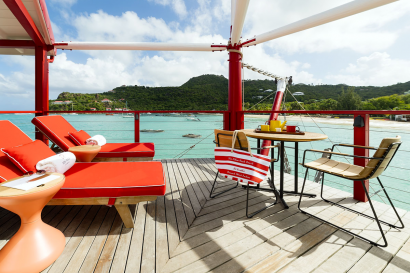 Eden Rock – St Barths was built about 50 years ago by Remy de Haenen, the island’s first Mayor and a much loved local eccentric, celebrated adventurer and skilled aviator. De Haenen choses to build his private home on the rocky promontory in St. Jean Bay, laying the foundations of what is today one of the most striking locations in the world. Close friendships were formed with Greta Garbo, Howard Hughes, Robert Mitchum and many other American and European celebrities of the day. Today, the hotel has a couple of Legacy Suites named after Greta Garbo and Howard Hughes. In 1995 David and Jane Matthews with children Nina, James, Michael and Spencer bought the home and undertook the job of restoring the original buildings. In the process new structures were built that complimented the style and spirit of Remy de Haenen. The family strived to create a hotel that carries on Remy’s charming eccentricity and enthusiasm for living life to the full. 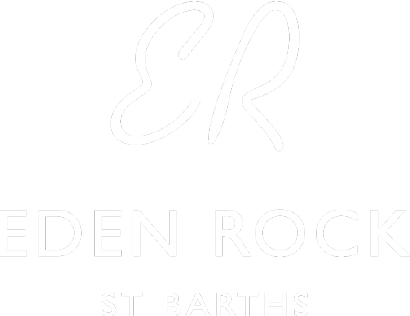 In 2014, Eden Rock – St Barths, a most inspiring selection of hotel masterpieces in the world, entered into a partnership and what was started by Remy de Haenen is strengthened globally to progress to even higher standards of detail, beauty and guests’ satisfaction. 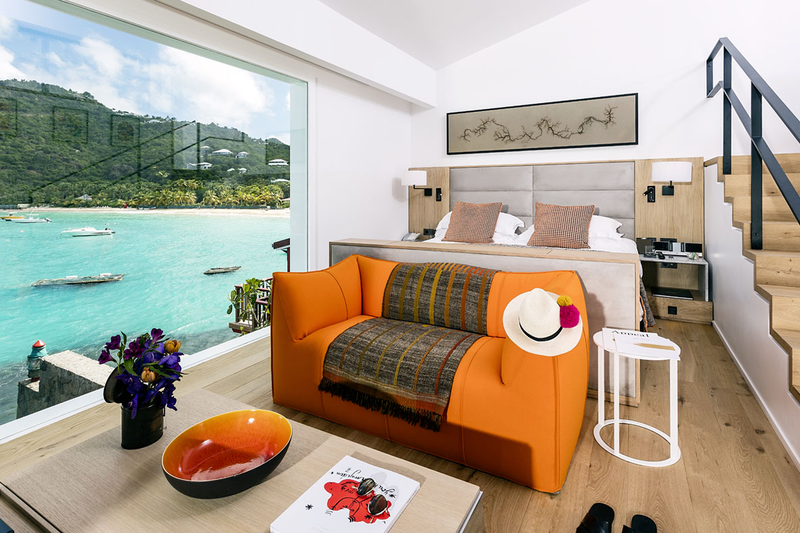 The Matthews Family continues the St Barths family culture as Owner Partners and the Oetker Collection join as Manager Partners – the perfect combination of family love and managed excellence for Eden Rock – St Barths. 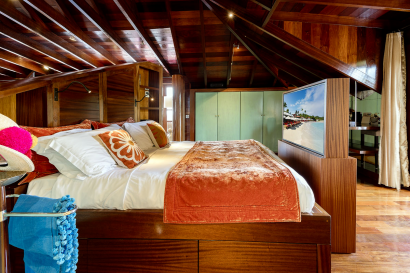 In 2016, 4 rooms & suites have been completely refurbished on the rock side. During the renovation phase of 2018, the main building has been fully refurbished and all of the rooms, suites and villas renovated. • White sandy and peaceful beaches ideal for family, protected by a coral reef full of wild sea life. • All rooms, suites and villas are only a few steps away from the hotel’s own fully serviced beach along coral white sand and beautiful views of the clear blue sea. 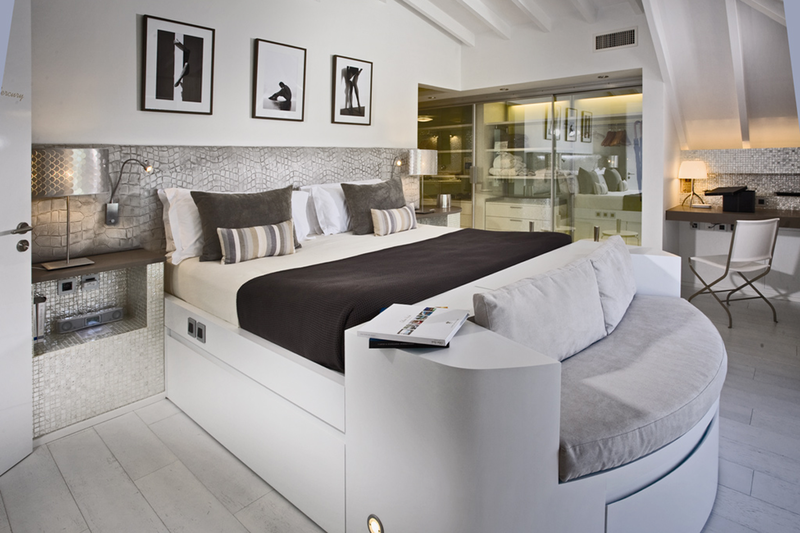 • Beautifully appointed and sophisticated rooms, suites and villas individually decorated by Jane Matthews. • State-of-the-art Villa Nina and Villa Rockstar (16,000 sq.ft) offering unequalled ultra-luxe accommodation – reopening scheduled in 2019. 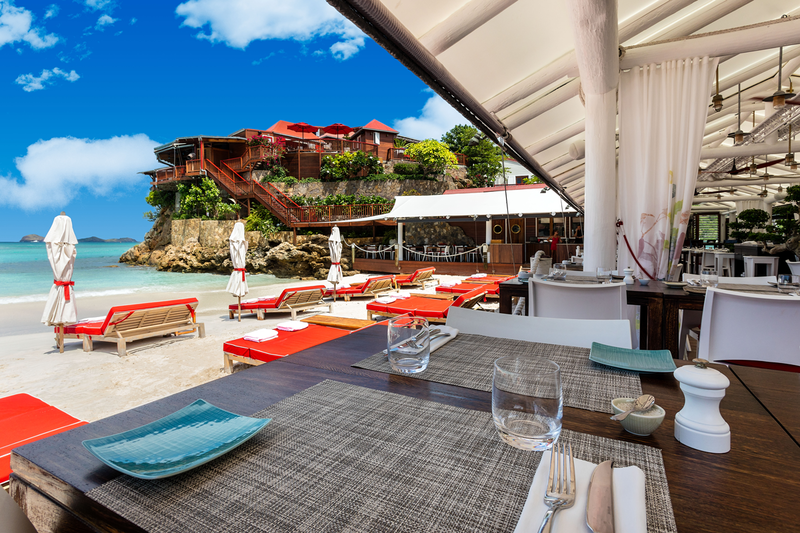 • The Sand Bar restaurant and Rémy bar are both masterminded by the famous Chef Jean-Georges Vongerichten. 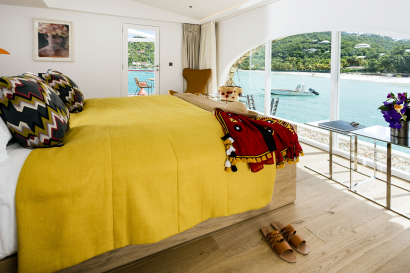 • Range of activities including stylish Eden Being boutique, art exhibition programme, hotel Edenbeing boutique, art gallery, water sports, yachting, diving and fishing. • Wellness and Fitness programs including masterclasses and personalized classes by certified coaches. • Unique Spa concept by Ligne St Barth with three brand-new cabins nestled inside the Rock. • Central location close to the charming village of St Jean with many shops and restaurants. • Two kilometers from the main city Gustavia with luxury shops and the island port. • The airport is located 1 kilometer from the hotel. 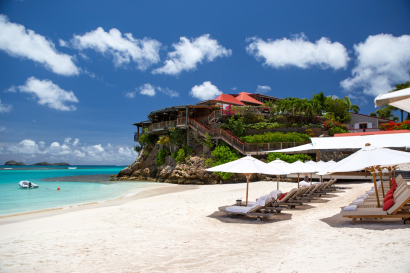 • St Barths is situated 15 kilometers southeast of St. Martin. Shopping, dining, diving, sailing, spa massages and treatments, fitness room with a coach, wellness offer. Children of all ages are welcome, extra charges may apply. Eden Rock – St Barths offers 34 highly individual accommodations located “on the rock”, dotted along the beach or set within the lush green gardens. Each room, suite and villa are individually decorated by Jane Matthews in her unique style. All accommodation features beautiful sea views and offers a direct and easy access to the hotel beach. Ultraluxe Villa Frangipani, Villa Nina (6,000 sq.ft.) and Villa Rockstar (16,000 sq.ft.) offer unequalled amenities and open into a private terrace with breathtaking views over the sea. 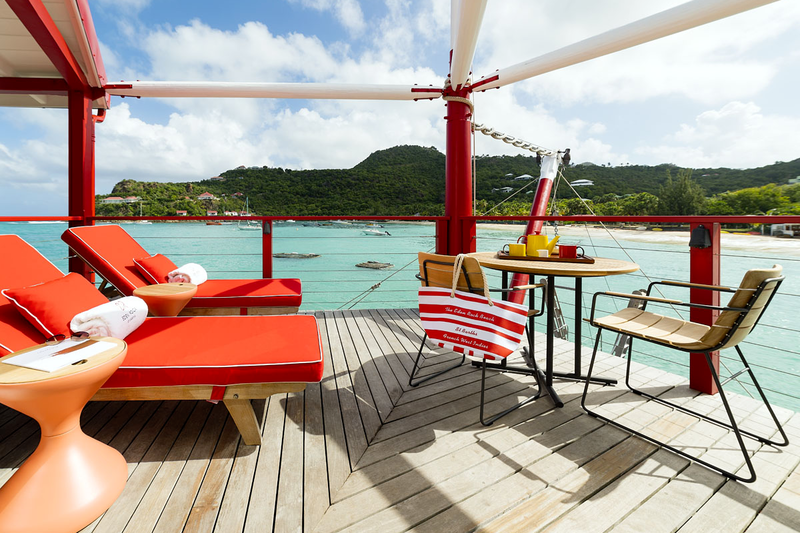 Eden Rock – St Barths, Villa Rental manages a portfolio of about 120 of the islands most sought after private villas ranging from one to eight bedrooms in size. Each villa is different yet provides similar quality of rooms and service to that which guests receive at Eden Rock – St Barths. 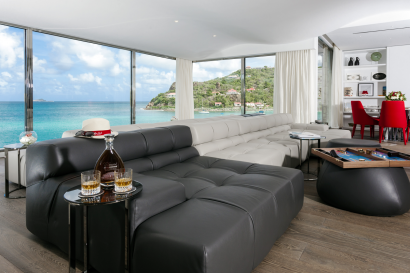 ERVR offers a range of services delivered by the team of Eden Rock – St Barths thus giving all the privacy of a villa vacation together with the many pleasures of five-star hotel service, from concierge to butlers and private chefs. From breakfast to dinner, the Sand Bar is the unbeatable venue for refined gourmets. Located on the white-sandy beach at the foot of the iconic Eden Rock, the Sand Bar offers a breath-taking panorama over the Caribbean Sea. Culinary maestro Chef Jean-Georges is at the helm of the Food and Beverage offer with dishes inspired from his very own ABC & Jojo restaurants and ABCV concept – New York’s favourite new restaurant for healthy food appreciated by foodies. Completely rebuilt and revamped, the Sand Bar now features a colonial atmosphere blending with laidback beach style. The brand-new Rémy Room & Bar is named after Eden Rock’s initial owner paying tribute to his pioneering spirit. Located in the heart of the Sand Bar, it channels a unique vibe to be enjoyed while sipping original creations and tailored elixirs and tasting luscious gastronomic bites by Chef Jean-Georges. Jean-Georges Vongerichten Chef of the Eden Rock – St Barths Restaurants. Jean-Georges has led a stellar career in Michelin starred kitchens, opening restaurants from Chicago to Tokyo. He was born in Alsace but inspired by his travels, and at Eden Rock – St Barths, he adores his spectacular stage by the sea, a suitably fresh setting for his zesty exotic cuisine. Enjoy treatments and magical massages using artisanal products manufactured exclusively on the island; in the privacy of your room or in our brand-new Spa nestled inside the Rock like a cocoon. The secrets within our spa treatments lie in the use of perfectly natural ingredients combined with expert techniques and all in order to achieve harmony and the soothing of the senses. A sophisticated union that delivers true island well-being and beauty. A holistic oasis in paradise awaits you. From the daily group and private activities, to the culinary experience. All areas of the hotel offers you the opportunity to feel and look your best. Available to answer any questions, give advice, or simple guide you in the right direction, our Wellness Coach will be pleased to assist you with all things Wellness. Eden Rock Fitness offers you personalized coaching tailored to meet your needs and expectations in a completely revamped gym fitted with cutting-edge technologies including spearhead Panatta Equipment. Eden Rock Fitness provides a personalized training program with the innovative and efficient technology of Electrostimulation which positively impacts your body, right from the first session. 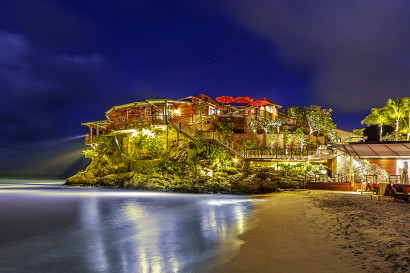 Eden Rock – St Barths is an exclusive venue to organise a friend and family dinner on the water’s edge or a lavish private ceremony where the hotel will be all yours. No matter the event, our team will ensure this moment is one that is cherished forever. Past exhibitions have included collaborations with Gagosian & Perrotin Gallery showing artists such as Richard Prince, Urs Fisher as well as giving emerging artists the opportunity to show their work. • Travel + Leisure World’s Best Awards as part of the Top 25 Resort Hotels in the Caribbean, Bermuda and the Bahamas.  • Included in Elite Traveler’s annual Top 100 Hotels in the World awards.